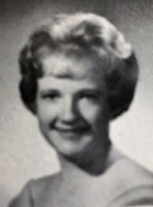 Susan Fallentine Flatberg, born December 8, 1944, died suddenly April 23, 2012 of Takotsubo Cardiomyopathy. Susan was amazing! We will miss her more than we will ever be able to express. She is survived by her husband of 44 years, David R. Flatberg; her daughters Jenny and Anne Flatberg; her mom Edith Dixon Fallentine; her siblings Jody (Lynn) Chidester, Carolyn (Ralph) Gilstrap, Robert (Annette) Fallentine and Michael (Julie) Fallentine; her dog Bluebelle; and all her family members whom she loved so very much. Susan was a member of Chapter AE, P.E.O., St. James Episcopal Church and DUP. Her passion was educating children. She created and directed a number of preschools, including The Cockleshell. Over 30 years, Susan taught hundreds of children how to learn and how to be good people. Her exemplary life impacted everyone who knew her. She was important to so many people and so many people were important to her. Most of all, Susan loved her family, and to us, she was the strongest and most loving person ever. Susan's funeral and burial will be on Saturday, May 12 at 10:00am at St. James Episcopal Church: 7486 Union Park Avenue, Midvale, UT. To honor her please donate a book in her memory to your local elementary school or send monetary donations to: The Moran Eye Center or The Huntsman Cancer Institute. Please do not send flowers.